The 666 horror anthology comprises stories of exactly 666 words and includes tales from Michael Brookes, Nathan Robinson, Linda Acaster, Stuart Aken, Regina Puckett and John Scotcher. 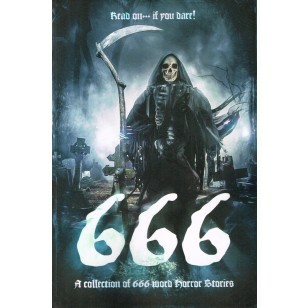 With a foreword from Michael Brookes, the 666 collection features authors Michael Brookes, Nathan Robinson, Linda Acaster, Stuart Aken, Regina Puckett, John Scotcher and many more. It is an anthology of short horror tales to stir your senses and chill you to the bone.